LONDON, 2018-Mar-28 — /Travel PR News/ — easyJet, Europe’s leading airline, is marking the one-year anniversary of a partnership with GetYourGuide, the leading booking platform for travel activities, which offers GetYourGuide’s tours and attraction tickets alongside easyJet’s low air fares. easyJet customers can book GetYourGuide activities quickly and easily alongside their flight booking via a dedicated site – activities.easyJet.com – or within the easyJet app. 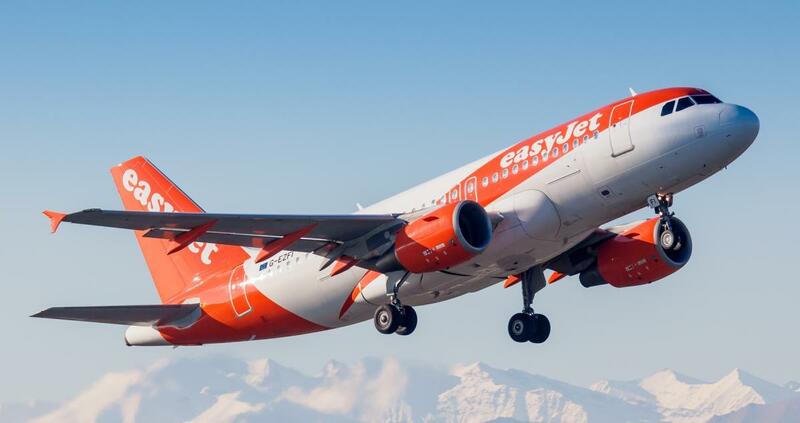 Through the partnership, easyJet has negotiated exclusive offers for its customers. Since the launch of the partnership, GetYourGuide has been nearly doubling in popularity among easyJet customers every month, as travelers discover the best tours, attractions and things to do across the complete range of easyJet destinations. One year later, thousands of easyJet customers have experienced 27,000 travel activities through GetYourGuide, from sightseeing attractions to museums, walking tours, day trips and more. Iconic sights like Barcelona’s Sagrada Familia, the Vatican’s Sistine Chapel, cruises along Amsterdam’s picturesque canals and Paris’ Louvre Museum have proven among the most popular. Within the easyJet app, which has now been downloaded more than 25 million times, GetYourGuide’s integrated inventory of travel activities lets customers discover the best options after booking a flight. For ultimate ease, most of the tickets are paperless, so customers simply scan a QR code at the tour or activity to gain entry. Push notifications also provide helpful reminders of location and timing leading up to the activity. GetYourGuide is continuously expanding its inventory in all of easyJet’s destinations, giving customers even more ways to turn their trips into amazing experiences. As the leading booking platform for travel activities, GetYourGuide powers access to more than 33,000 tours, activities and attractions around the world. From skip-the-line tickets to the Colosseum in Rome to bicycle rides through Bangkok, GetYourGuide offers things to do for every traveler, both on its own site and in partnership with premier travel brands worldwide. Headquartered in Berlin, GetYourGuide employs more than 400 people across its offices in 14 countries. For additional information about GetYourGuide, please visit the company’s website at www.getyourguide.com. easyJet flies on more of Europe’s most popular routes than any other airline. easyJet carries over 81 million passengers annually, of which more than 13 million are travelling on business. easyJet flies over 280 aircraft on more than 890 routes to over 140 airports across 31 countries. More than 300 million Europeans live within one hour’s drive of an easyJet airport. This entry was posted in Airlines, Tour Operators, Tourism, Travel, Travel Management, Travel Services, Travelers and tagged Andrew Middleton, easyJet, GetYourGuide, Tao Tao, Tours, travel activities. Bookmark the permalink.